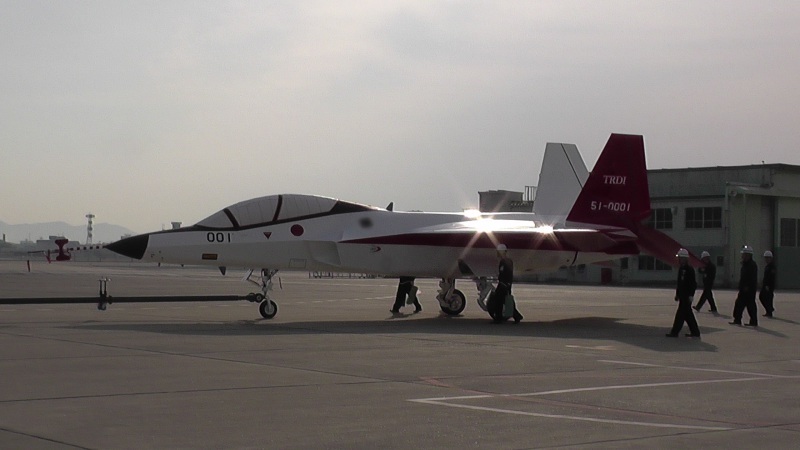 The aircraft is scheduled to make its maiden flight within the first three months of next year, Hirofumi Doi, a program manager at the Defense Ministry, said in an interview in Tokyo. The plane, called Advanced Technology Demonstrator X, will then be handed over to the SDF, which will start conducting its own tests, he said. The Mitsubishi Heavy Industries Ltd.-made plane builds on Abe’s military ambitions after he succeeded in pushing through U.S.-endorsed legislation to allow Japanese forces to fight in overseas conflicts, despite concerns voiced abroad and at home. Japanese militarism is a particularly sensitive topic for China and South Korea because of the aggression they endured before and during World War II. The 14-meter-long jet, equipped with engines from IHI Corp., will cost ¥40 billion ($325 million) to develop, Doi said. The ATD-X could become the basis for a new fighter jet to replace the nation’s F-2, said Takahiro Yoshida, a director in the ministry. Should Japan decide to make a fighter jet version, its engines would be about three times the strength of the stealth jet’s, and the plane would have enough internal space for missiles, Doi said. It’s not certain that Japan will go ahead with the project. IHI is fully supporting flight tests of the latest jet, said Yuki Takahashi, a Tokyo-based spokeswoman. Hideo Ikuno, a spokesman for Mitsubishi Heavy in Tokyo, declined comment on the jet’s development. The U.S., Russia and China have all built and flown stealth planes, known as fifth-generation jets, which are harder to detect by radar. Other countries such as India and Turkey are also developing stealth jets, according to Gupta at IHS Jane’s. South Korea and Indonesia are also investing in the joint development of a next-generation fighter aircraft, he said. Back in Japan, the government will make a decision on a replacement for its F-2 fighter jets by the end of March 2019, Doi said.